Cantor Lee: I had a interesting experience with a child recently. The girl, a sixth grader, was practicing the initial focusing techniques from our program, the Infinite Child Institute. As part of that process, any worries and feelings of stress are released. It has been quite an eye opener for me over the past few years of the amount of anxiety and fears children carry these days. This child told me that she worries quite a bit and gets herself all worked up. The child was amazed with how she felt and kept repeating, “I feel so calm! I feel so peaceful!” Being sensitive to energy as many kids are, she felt the actual moment the worries released. We all know that feeling when a weight is taken off our shoulders! She described it as a force taking something from her. This theme of returning to those places of worry and anxiety that confine us is one of the deeper teachings of the Passover story. The word Egypt, or "Mitzrayim" in Hebrew, means narrow or constricted places and refers to our states of mind. Rabbi David continues: The story of Pesach has fascinated generations of Jews throughout our history. It is probably the first ever mass psychological experiment in leaving one's comfort zone. We have always been taught to look at the exodus narrative as an amazing event in human history in which a defenseless nation breaks the slavery yoke imposed on it by a powerful empire. No doubt, the first night of leaving slavery behind, the night of freedom was an exhilarating time for all. But from the stories that follow we learn amazing things about the human mind, including that even the best of changes in our states of mind may not be that easy to maintain. While the Israelites embraced their freedom after experiencing slavery, there was a low threshold in tolerating changes. They continually returned to the idea that the horrors of slavery did not seem so bad after all. Indeed, walking in the heat of the desert, relying on a trustworthy invisible G-D to provide water, food, and shelter was a new experience which called for courage and tolerance for change. As sweet as freedom was for the Israelites, fear got the best of them. Poor Moses had to listen to their complaints and mistrust every time a challenge presented itself such as a shortage of water and food. Facing any difficult situation they suddenly remembered how good they had it as slaves in Egypt. At one point they were even ready to march back to Egypt. We are not so different than our ancestors walking in the desert towards the Promised Land. The most positive changes in our life often come with great hesitation and fear of the unknown. It does take courage to stay on course with the change and not to lapse back into an old not-so-good situation or an unhealthy state of mind. As we sit around the Seder table this year and remember how precious freedom is, let us also remind ourselves that the road to freedom requires changes that we need to guard at all times with courage and commitment. As the holiday of Purim approaches here is the real story of our good friend Miss Esther Queen better known as Esther D Queen - don't ask me why. So this whole thing happened in Persia. Them Persians had a king. His name was Achashverosh. He was a nice fellow really. A little drunk and a party animal but nice. One day Achashverosh was conducting his white palace briefing in front of a live audience. He decided that they all needed some entertainment so he said in front of national TV: "Ya'll need some entertainment." He then asked his wife, a well known pro life/pro-choice (take your pick) women's rights/energy conservation activist, and also a go-go dancer, named Vashti, to come in front of the cameras and perform her now famous ballet moves while singing "I don’t wanna grow up, I’m a Toys-R-Us kid." She did not wanna do it, so she didn't. Well, let me tell you, the king was so furious that he immediately revoked her application for asylum and sent her to Mexico. Apparently "Vashti" is a Spanish word meaning, "Don't ask me to dance or I will file an injunction against you in the 9th Circuit Court of Appeals. Anyway, the king suddenly remembered that he forgot to replace his queen with a newer model so he announced a Grammy Awards ceremony and whoever would come with the sexiest, most revealing dress would be the next queen. The king, a freethinker did not care if it would be a woman, a cross dresser, a crossed eyed or a crosswalk. Now Esther, a student at Shushan U. West campus was working on her masters in Climate Change Studies. She wanted to change the earth by running as a state representative so she could talk and everyone will eagerly listen! And she will be in all the papers and talk show hosts will hate her! How wonderful is that! Now remember that she was also a Jewish princess. How lucky can she get! One beautiful morning Sheriff Haman the Evil was taking a stroll around the white palace and noticed to his dismay that Mordi refused to gnash his teeth, make faces, fall into the ground and dance the Hora in front of him. This was way too much for him to tolerate and he decided to get rid of him and all them Jews. He went to the king and explained the problem he had of Jewish people being alive. Achashverosh being human could not understand the imminent danger of the Jewish people who are making the world a better place and inventing all these medicines. He suggested instead of killing them, building a nice tall wall around Shushan (or Shoe Shine or whatever) so Mordi-Chai and all them Jews would not be able to come in. But Haman rejected that idea. So Achashverosh suggested an electronic monitoring of all the Jews including the use of drones and sophisticated cameras but then he remembered that electronics had not been invented yet, so sadly he gave up on this idea. However, Haman was such a *nudge (the Hebrew word "Nudnick" is a better term) that the king just wanted him off his back so he agreed to Haman's plan to get rid of all the Jews. That did not sit well with Mordi. Not at all. In a secret meeting with Esther D Queen that took place on the Tarmac of Shushan International Airport (SIA) he urged her to leak this information to the press. (He actually suggested Wiki-Leaks but Esther did not want to get involved with such hot potatoes.) Esther rejected this idea so Mordi told her in no uncertain terms that she must confront the king about this issue. "After all," he said, "this king's decision is a clear violation of the constitution, an abuse of power, an insult to all women as well as African Persians. This is also a terrible decision which will affect our climate. I guess you know the rest of the story but I will tell it to you anyway. So Esther took her chance and under great risk to herself she came in front of the king uninvited so she could invite him and Haman the Evil to an important meeting in Vietnam where they would discuss some worldly issues, drink a lot and eat gefilte fish with *kasha varnishkes. Since the king loved kasha varnishkes the way his grandmother used to make them, he agreed in principle to the plan. The king was happy. Haman the Evil was happy and Esther was so tense that she was on *shpilkes. The big day came. The room was full of reporters. This event was of course televised on channel 18 for all to see. Some sharp reporters were quick to point out that this was all a stunt to divert attention from the real problems of inequality and low minimum wage in the Mac-Haman fast food chain owned by Haman himself. In the meeting the king, after drinking much of the local Saki, finally heard that his beloved wife is actually a college graduate social activist and a nice kosher Jewish girl and that Haman is a racist, discriminates against the Jews and Hebrew school graduates and in fact, he wants to kill them all including Esther D Queen. Well, let me tell you. If you did not see Achashverosh that moment on TV's "Face the Nation" you have never seen such an angry man in your life. As you know, the end was not too good for Sheriff Haman the Evil. He and his 10 boys were hanged. After that they died. Esther continued being cute. She became state advocate for Energy and Fresh Air Conservation as well as an activist in the “Save the Cows” movements. So he wouldn’t be bored, Mordi the 18th became state representative to the UN where he found plenty of other Hamans to deal with. I wouldn't want to be in his *tallis. King Achashverosh became a gun control advocate and started practicing Zen Yoga and King-fu, which was good for him because he was very overweight. Characters: Achaverosh – King, Vashti - first queen, Esther – new Jewish queen, Mordecai – Esther’s uncle and community leader of Jews, Haman – prime minister. In the 4th century BCE the Jewish population of Persia was under a great threat of elimination by an anti-Semitic prime minister, Haman, in the court of the King Achashverosh. The king who was not overly concerned about the welfare of his countrymen gave Haman permission to execute a mass murder of the Jews on the 14th day of the Jewish month of Adar. 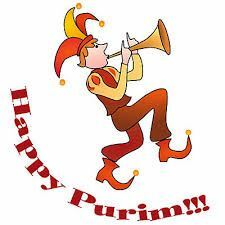 The date was chosen through lots or Purim. Unbeknownst to Haman, Queen Esther was Jewish. She was selected during a beauty contest after the former queen, Vashti was banished from the kingdom for refusing the king's order to dance at his banquet. Esther invited both the King and Haman to a banquet where she revealed to the king who she was and that murdering all the Jewish people would include her. The king who adored Esther became outraged over this revelation and ordered the hanging of Haman and his 10 sons. Mordecai became the new prime minister. In so many places that I go and people I meet, the conversation inevitably turns into politics. It is always highly emotional, with much discontent and even down right hatred. No matter which side one speaks for, it always sounds like righteous indignation and a barrage of accusations. We are absolutely right and the hated other side is made of mostly criminals in leading positions. Can we not see beyond our highly charged emotions? We are so occupied with trying to discredit our adversaries (in the name of what's best for our country, of course) that we can't see beyond our emotions. But wait, it's even worse than that. Our sharp political differences are much more than a philosophical outlook on what is good for our country. The "other side" is now our true enemy to be despised, humiliated in every possible opportunity and, if only it was legal, to be "eliminated"
Does this sound too harsh? It is not! In many families around the country (as well as in our congregation!) brothers, cousins, sons and daughters with different political outlooks either don't talk to each other at all or keep their relationships to family obligations only. The only time this country went through such explosive divisive politics was right before the civil war and that did not end up too well. While of course we are not facing another civil war, we are nevertheless just as divided today as then. There is a different kind of war going on. A war of words where everything goes. A war where our unity, which is so important for the country (and its safety!) is set aside for the sake of satisfying our ill emotions. How sad is that. Our good friends, the Russians, the Chinese, some of the Middle East fanatical nations are laughing at us, trying to take advantage of this situation any way they can. We can fix this. We do not need to act like this. This bickering is an insult to our country, to our veterans, to all of us who care deeply for our country's welfare. Let me tell you what makes me optimistic that things will get better. I know of at least two members in our congregation who are on complete opposite sides in the political spectrum. There are always heated political debates between them, as you can imagine. Yet they are very close friends and care deeply for each other. Politics should never be a vehicle for ridicule and hate. Differences, even sharp differences, are healthy. In fact, it is part of our strength as Americans. Our differences come with a strong sense of unity, respect and tolerance. We seem to have lost that. Let’s come back to it for the sake of generations to come. It might very well be a question of survival. The holiday of Tu B'Shvat, the 15th day of the Hebrew month of Shvat, (Jan. 21st this year) was designated as a special recognition of the importance of nature for the survival of all creatures. In its origin it was designated as the new year mark for the trees' growing cycle. This was used in order to calculate the age of the trees for the purpose of fruit tithing for the poor as well as calculating the first three years of a tree's life when its fruit was not allowed to be eaten. Over the centuries as our sages began to further appreciate the enormous role trees and nature play in survival of Earth and its creatures, a celebration of nature was born. Originally the Tu B'Shvat commandment was simple and straight forward: "Every year, you shall set aside a tenth part of the yield, so that you may learn to revere your G-d forever." Sharing the blessings of nature with the needy was a way to develop a deeper sense of reverence for our environment. However, beyond the appreciation of the farmer's harvest and, the celebration of our nurturing environment, the holiday has a much deeper meaning. The Jewish tradition recognizes Earth, Gaia, as a living entity which cradles, protects and feeds all life. But, as our sages noticed, nature is very delicate and vulnerable to Human upheaval both physically and spiritually. Therefore, when G-D created humans he designated them as custodians of earth in charge of the welfare of the earth and its inhabitants. We were to correct and repair all that becomes poison to earth. When entering the promised land Moses warned the Israelites that not only physical impediments but also spiritual decay will make the land sick. It will literally "regurgitate" its inhabitants. (Leviticus 18:28) While Moses was talking specifically about the holy land of Israel the same is true of earth in general. The Kabbalists, the Jewish mystics, understood that we humans need to cleanse ourselves spiritually first, so we can better take care of our environment. They devised a self cleansing ceremony, commonly known as Tu B'Shvat Seder, modeled after the Passover seder. The ceremony involves a serious of blessings which express deep appreciation for Earth and nature. By eating fruits of different characters such as the fruit's hard parts which represent challenges as physical beings, we acknowledge that humans too are not perfect and may not do their best as custodians of mother earth. The act of eating a variety of fruits, which also symbolizes the goodness of Earth, reaffirms that we are not forgetting our role as preservers of earth and all its inhabitants. This Tu B'Shvat seder, this self cleansing ceremony allows for a better sensitivity for Mother Earth. Today, it especially has enormous significance to our modern life, as we are putting our Earth, the only known home for all living things, in serious jeopardy. From deforestation to severe pollution, chemicals that cannot be broken down to depleted oxygen and diminished ozone protection from the sun, we must repair the damage we are inflicting on our beloved Earth. G-d designated the Jewish people as carriers of his special Light of Peace and Justice in the world which includes being a voice for Mother Earth. The modern holiday of Tu B'Shvat not only elevates us spiritually but reminds us of our responsibility. 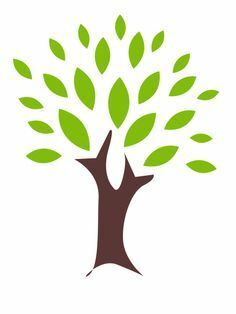 Plant a Tree in Israel for Tu B'Shvat! The historical events surrounding the story of Chanukah are a little different than what we are told as children. The real story of Chanukah involved complicated upheavals both internally within the Jewish population of Judea and externally as part of the ever changing relations with the Syrian Greeks. The influence of the Hellenists, the Jews who adopted the Greek culture and religion which included some of the Temple priests, was serious enough to severely threaten the continuation of the Jewish monotheistic and moral based religion. This existential threat was so severe that many saw the end of Judaism as imminent. The Greek ruler Antiochus the Fourth who was entangled in wars in Egypt saw in the Jews a source of constant rebellion and was determined to eliminate Judaism once and for all. He turned Jerusalem into a complete Greek city, turned the Temple into a shrine for Zeus and forbade the Jews from practicing any Jewish laws. The Hellenists, were now in complete control of the entire country. The Jews who remained loyal to their heritage lost all hope for redemption. When Judah Maccabee gathered there with a very limited number of loyal followers, his rebellion against the Geeks seemed impossible to win. Due to his guerrilla warfare genius, Judah managed to chase the Greeks out of a limited area surrounding the Temple. This took three months to accomplish. As we all know, he cleansed the Temple and rededicated it to G-D. However, by no means was this a complete victory against the Greeks and their vast Jewish Hellenists allies. Therefore the celebration of Chanukah is a remembrance of the re-dedication of the Temple and not of a decisive victory over the mighty Greek army. Following the capture of the Temple by Judah many more Jews who began to believe that complete victory was possible with the help of G-D, joined the rebels. Judah gained a substantial number of loyal soldiers and a three year war against the Greek Invaders began. First order of things was to send soldiers to protect Jews in the east side of the Jordan river as well as the Jews in the Galilee and the Mediterranean shores from local non Jews who with the help of the Hellenists wanted to eliminate Judaism. In order to put a stop to Judah’s successes, the Greeks sent their best general, Lisias, along with a huge army to face Judah’s rebels. The major battle that ensued was a decisive win for the enormous Greek army. The Jewish rebels dispersed everywhere and the rebellion was just about over at that point. A blockade was put on Judah and a few of his loyalists who retreated to the Temple area. Everything seemed to be lost. With the expected death of Judah and the rest of the Maccabees the end of Judaism in Judea seemed to be a sure thing. This is when the Chanukah miracle really happened. Lisias suddenly faced a bitter political rival Philipus who was advancing toward the Greeks with a huge army in order to declare himself the Greek emperor. Lisias then retreated immediately from Jerusalem, left most of Judea and signed a peace agreement with Judah. This peace agreement did not last too long. Another Greek general, Bacchides attacked Judah and his army and in a decisive victory he eliminated most of the rebels and killed Judah himself. This was the end of Judah Maccabee’s revolt against the Syrian Geeks. Therefore unlike common belief, Judah Maccabee was unable to successfully rebel against the Greeks. Jonathan, Judah’s younger brother waited two years for the right opportunity to try and rebel again. Jonathan was a brilliant statesman and a great general. He knew how to take advantage of the political bickering among the Syrian Greek generals who all wanted to become emperors. With winsome and brilliant political maneuvers, offering loyalty to specific influential Greek generals, he managed to re-assemble his own Jewish army and to liberate, piece by piece, areas of Judea which were under Hellenist, Greek and other idol worshippers' influence. Jonathan was eventually murdered at the hands of Hellenists in Jaffa. Simon, the last of the Maccabee brothers continued the task started by his brother Jonathan of the retaking of Judea from the local Greek and Hellenistic population. His successes aggravated the new Greek emperor, Antiochus the 7th who sent yet again army to help the Hellenists and to stop Simon from expanding their control over Judea. Yet again a battle took place between Antiochus’ army and Simon. This time the Maccabees won and the Greek army retreated out of Judea. At this point the Greek Emperor Antiochus the 7th realized that losing so many soldiers for control over a small piece of land called Judea was not worth the effort. In addition the international power of Greece was diminishing against the rising power of Rome. Therefore the Maccabees’ eventual victory was the result of the Maccabees stand fast effort to free Judea. With a little luck or perhaps a miracle and with hard fought battles along with brilliant political maneuvers they managed to gain an independence for Judea for the next 80 years, only to end at hands of their deceiving old ally, Rome. A story I once heard from a friend and a colleague. When he was a child during one Thanksgiving holiday meal his father challenged him along with his siblings to think of five things which annoyed them the most. That of course was not hard for the children. Within a few minutes they all had a generous list of aggravating things which they eagerly recited to their dad. "Now" said the father. "I want you to put in front of every aggravating item the phrase "I appreciate" and find a reason why you appreciate each and every item. As children, my colleague said, they could not complete the challenge. "We resisted such a seemingly impossible task." "Now", his father said, "Think of five small things that you like and enjoy. Again, write the phrase "I appreciate" before each item and give a reason why.” “That of course was a much easier task,” my friend told me. "You see" continued the father, "When you learn to appreciate the little things in life you like, you will be able to better deal with challenges and maybe find a way to appreciate them as well.” As a child, my friend said, he did not quite understand what his dad was trying to teach him. Later on in years to finally understood his father’s lesson. Appreciation of all aspects in our life, big and small, is paramount in Judaism. It is a corner stone of our belief system . 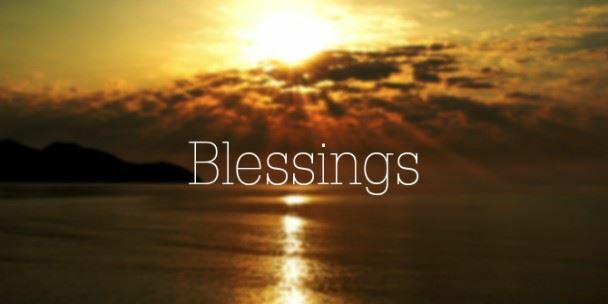 In fact the many blessing we are encouraged to say every day are a perpetual expression of our appreciation of our life. Think of the basic formula of appreciation, "Baruch Ata Adonai" - Blessed are You G-D. We bless G-D because we acknowledge what G-D does for us and for all mankind everyday, every moment. This of course is the opening statement to all our blessings. It is our expression of appreciation of everything around us, from blessing the variety of foods to anything new in our life, to experiencing a natural phenomenon, to life cycle events and of course many others. In fact, this ongoing state of thankfulness for all things in our life has a deep spiritual purpose. Having a perpetual mindset of appreciation, by reciting a variety of blessings throughout the day is a powerful spiritual tool. It affords us the inner strength to face life's challenges. When we see our daily events as blessings which warrant expressions of appreciation, this ongoing gratitude gives our life a dimension of sacredness, it brings us closer to G-D and keeps us on a higher spiritual level. Jewish tradition puts all this in place to make sure that we are better equipped to appreciate all which is good in our life and to better face the not-so-good and even find the blessings during the difficult times. The above was written before the shooting at the Tree of Life Synagogue in Pittsburgh. So how in the world can appreciation possibly apply in this situation? We certainly aren't grateful this happened! Not only are we dealing with a horrific act of hatred but it is one of pure Anti-Semitism that has touched our very core as Jews! Collectively we are experiencing a wide variety of reactions including horror, grief, despair fear, anger and the need to find blame. 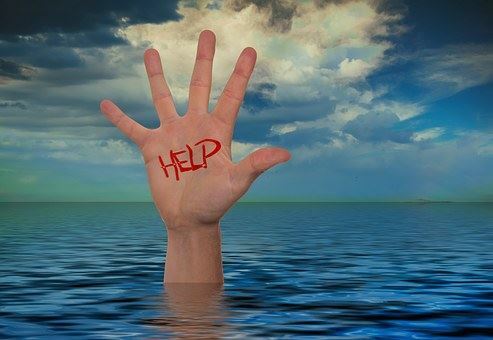 Judaism offers the spiritual tool of appreciation to assist us in the processing of these emotions so we do not sink into them, such as sinking into despair. When we draw our attention to that which we appreciate in our general lives, thus raising our consciousness, we can more easily lessen the severity of our emotions, process them more quickly and return to a sense of inner peace and well being. From this higher state we can then take the steps and actions needed to bring forth change. Can we possibly also find the blessings? One I am personally seeing is that people of all faiths are coming together in solidarity. May this coming together be the first step in transmuting all forms of hatred and bigotry in our world! For this I can be truly grateful! It was one of those beautiful days when everything just seems to flow perfectly! Rabbi David and I had just officiated a renewal of vows ceremony at Disney and were still flying high from the energy! Now we were looking forward to the drive home as we always love the peace of a long car ride. We were even going to be home in time for our homeowners meeting! Rabbi David sits on the board and there was an important issue to be discussed that evening. But it seems the universe had other ideas. An hour into the drive on the turnpike the tire blew. That didn’t phase us, we would just change the tire. But lo and behold, the rental car didn’t have a spare tire! I began calling the rental car agency while Rabbi David walked to the nearest mile marker to see where we were. Things however became quite chaotic. I couldn’t get through to the car agency and kept getting disconnected from turnpike assistance. When we finally got through, the car rental agency wanted to tow us an hour out of our way to get another car. We decided to call AAA instead but kept getting disconnected. I just paused in the midst of all this somewhat confused. Did I not call on the angels when we first began driving? It is just automatic for me to pray for protection anytime I get in a car. So I stopped and prayed now, calling on the archangels, the driving angels and the turnpike angels, asking that the energy would change. Like magic everything began to go smoothly. AAA would be there within an hour and the tow home would be covered by our policy. They were also sending the turnpike police to check on us. While we waited we came up with all sorts of ideas as to why this was happening. “Maybe we are being protected from an accident!” I told Rabbi David! Whatever the reason we now saw it all as an adventure and it certainly continued to be one! The tow truck driver had a deep voice on the phone so I was surprised when “he” turned out to be a “she!” Her name was Rebecca and she was just so lovely! When we got into the tow truck she had classical music playing with my favorite composer, Bach! She learned that I play classical piano and I learned that classical music calms down her 18 year old Autistic son, Thunder, the youngest of her four children. She began educating herself about Autism and got support through internet groups. When Thunder was six he spoke for the first time but it wasn’t English. It was Japanese as he wanted to see his brother’s Japanese anime book. He now speaks nine languages and learned it all though google. “He can’t do anything with Math, though” she told us. The “episodes” were the worst when Thunder was eight and nine years old. Her husband couldn’t handle it anymore so they got divorced. Rebecca wasn’t about to give up though. Not even as he grew older and stronger. He can’t feel any pain himself so he isn’t aware when he causes others pain. Thunder has broken both Rebecca’s arms and her collar bone. She works out to stay stronger and tougher than he is. She told us the trick is knowing how to talk to him sternly without raising her voice and getting him into the closet safe space when needed. She wouldn’t date or have people come to the house. “They just wouldn’t understand about Thunder” she told me. But the father of her daughter’s boyfriend had other ideas. He went to Thunder first and told him he wanted to take him and his mother on a date to get pizza. Thunder was quite thrilled with the idea as pizza happens to be his favorite food! Rebecca told us other stories as well, of all the animals she has rescued while on the road. She presently has thirteen dogs and two potbellied pigs. One time she rescued a puppy being severely abused. She beat up the man putting him in the hospital. The puppy went into surgery and the man got 90 days in jail for animal abuse. Rebecca’s time was eating pizza with the sheriff for seven hours. Everyone including the sheriff respects her in her small community. She is known as Thunder’s mom. Another time she rescued a Chihuahua from a garbage dump. Ferocious wouldn’t have anything to do with Rebecca but took to Thunder after he bathed her and dressed her wounds. Ferocious doesn’t let anyone near Thunder except for BB, Thunder’s other dog, a pit bull rescue. BB has been trained to call Rebecca and 911 on a special phone if Thunder is hurting himself or others. Rebecca also shared stories about her tow truck. Thunder named her Abby calling her Rebecca’s adopted baby. And Rebecca definitely takes care of Abby just like a baby! She told me she isn’t an outgoing person but when in the truck she is quite friendly. Abby is the one who helps her to be so. I told Rebecca I understand completely, that yes, vehicles have their own consciousness, that Abby is in partnership with her. Hurricane Irma was quite tough as the house had much damage causing Thunder’s schedule to be disrupted. The well was also damaged so the family hasn’t had water since then. Rebecca goes every other day to get water for the household needs. But she sees Irma as a blessing as it brought her boyfriend to her. After the pizza date he came to help with the hurricane damage and never left. “I saw how he accepted Thunder and could understand him” Rebecca told me. So they are planning to get married. “I always see the silver lining in everything” she said. I told Rebecca I knew the flat tire was so I could hear her story. She confided that she had argued with her boss about taking the job. It was the end of a long day. But she knows she was also meant to meet me. She was so excited to learn about my third eye blindfold program and energetic work with children with ASD that she is going to participate in the next adult session! “I am always open to new ideas!” she told me. We all have those experiences when we are touched so deeply. A mother recently told me that during her daughter’s Bat Mitzvah ceremony (Jewish rite of passage) something beautiful happened. “I feel different inside” she said. Something beautiful happened during that ride with Rebecca. I too can say I feel different inside. According to the Bible there were close to a million soldiers that served in King David's army. By comparison 1,000 years later, the great Roman empire in its heyday had a similar amount of soldiers divided into 30 legions. When the Jewish nation split into two kingdoms, Judea and Israel, the huge army split as well. It was then that the Israelites lost their unity. They lost their might. In the following centuries during endless wars with their neighbors, Judea and Israel each lost territory and population. This division, lack of unity and hostility between Judea and Israel continued until they were both eventually destroyed. In the first century when Judea revolted again Rome, there were a bit less then 300,000 Jewish soldiers facing 350,000 Roman soldiers. If you play a pure numbers game the odds of winning was not necessarily with Rome. The Jewish revolt failed not because of an inferior number of Jewish warriors but again because of lack of unity. Due to the animosity between Jewish groups, they could not find a way to work together against a common enemy. There is a famous Talmudic story about a wealthy man in Judea who had a party and wanted to invited his good friend Kamtzah. By mistake, the wealthy man's personal enemy named Bar Kamtzah was invited instead. When the wealthy man saw his enemy, he demanded that Bar Kamtzah leave his house immediately. Bar Kamtzah asked the wealthy man not to embarrass him in front of the entire village and to invite him as well. The wealthy man refused. Bar Kamtzah then offered to pay for whatever he would be eating at the party if he would be allowed to stay. The wealthy man still refused. Bar Kamtzah then offered to pay for the food for everyone in the celebration which was the entire village, in order not be embarrassed. Still, the wealthy man refused and demanded that Bar Kamtzah leave the premises immediately. The rabbis who were present at the party did not come to his defense and were silent throughout this whole episode. In his Anger, Bar Kamtzah went to the Roman emperor and told him that the Jews intended to rebel against him. The emperor in his anger attacked Judea and destroyed the temple. I realize of course that hate is a very harsh word to use. It is one of the most destructive powers in society. It is what brings out the worst in us. It robs us of our clear thinking, our ability to reason. It takes away our humanity, our dignity. It has the power to literally change our personality, to bring people to violence. There is a fine line between opinions which are kept as civil disagreements and those differences which breed hostility, that completely take over and create intolerance. In the story of Bar Kamtzah and the wealthy man, what made G-D so upset was that this dispute was senseless. It caused humiliation and dishonor. It is known in Judaism as Sinaat Chinam, which translates as pointless hate. We have all seen on TV and social media people saying malicious things about others. From the top echelon to the rest of us. Many seem to be consumed by this affliction of attacking others. Have we lost our will to build a bridge between political opinions and ideologies? When principles and ideologies become very emotional we defend them to the end. We know we are right and anyone who does not share our opinion cannot be right. As we go through our political unrest, people seem to dig their heels into their positions and like a snow ball, our differences lead to even stronger discontent and intolerance. Emotions take over and paralyze our ability to work together for solutions. I have never seen any political or social debate where one side manages to convince the other side to change their position. The debates just go on and on... with bitterness and high emotions everywhere. Political debates are healthy and good. It is a sign of diversity. It is sign of a free nation. But disagreements should not be allowed to escalate into rifts and chaos. Building a bridge of understanding must start by all of us reexamining the idea that one's political views are completely correct and others’ opinions are completely wrong. We must try to find some common political ground. We have always taken pride in our diversity. Different ideas and ideologies lead to healthy debates among us. Working together despite opposing opinions unite us. It makes us stronger. We need this unity. In today’s world we simply cannot afford to appear as a divided nation. This weakens us in the eyes of those who are trying to hurt us. Divided we are in danger. We have already seen how this intolerance has come into the fabric of our personal lives. It has torn apart families, hindered friendships, brought brother against brother. It is even hurting our freedom of speech. People are afraid to express themselves on social media or among family and close friends for the sake of not fighting. We are all concerned with our national and personal safety, and prosperity for all. We all want to preserve our strength and respect among all nations. We don't have to agree with each other but we have to work together. Being united means a stronger America which means a safer world. Senseless hate, whether politically or socially based or otherwise, is not an option for us anymore. There are no winners, we all lose. Remember that whatever our children learn from us they may continue doing as adults and as future leaders of our nation. From the top of the leadership echelon to every single one of us, let us change all this. Let us resolve that this coming year we will not be a part of all this negativity. This ray of hope and unity has to start somewhere. Let it start from us, today. For this coming year I pray that we curtail all inappropriate verbal expressions due to political or ideological disagreements or for that matter, any disagreement. For everything there is time. As the earth rotates around the sun it creates cycles in our lives. Jewish life, of course, is based on those cycles of time. Seasons change, they come and go and turn into years and decades. Some scientists will tell you that there are physiological and even psychological “rotations” in our bodies which reflect the seasonal changes in nature. While these changes seem to be more noticeable in animals we as Jews recognize that each season puts us in a certain frame of mind or “mood”. 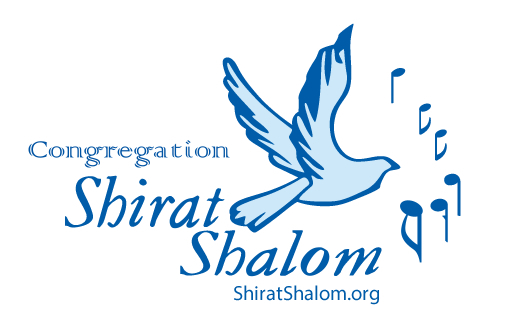 As Fall approaches, we become increasingly aware of the High Holy Days. In the past, the mere approach of the season evoked fear and awe in the hearts of our forefathers. There was a literal change in their demeanor. People became truly weary of their fate which traditionally is decided, written and finally sealed during the course of the season. In order to tilt fate to their side, they intensified their yearly practice of the three “Ts”: Teshuva – repentance, Tefila – prayers and Tzedaka- acts of kindness and good deeds. In Judaism, this is serious business. Our legends teach that the Book of Life is opened in the heavens as the Almighty begins the process of evaluating the lives of all creatures. The heavenly High Holy Days scene is similar to our modern courtroom. However, while the accuser angel is busy preparing his material against each of us, there are no attorneys to defend us. We are our own advocates. Not fair you say? Well, that is why we are given time to probe our behavior and deeds. 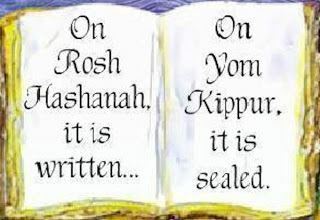 We are given time between the first day of the last month of the Jewish year, the month of Elul to the holiday of Succot which comes four days after Yom Kippur. Traditionally, we first engage in “Cheshbon Nefesh” literally, soul searching, then we take steps to correct (or begin to correct) that which needs correction. Moving in the right direction will go a long way to sway the heavenly scales of judgment to our favor. That is why the three “T’s” are so important. As adults in a modern Jewish world we all have some doubt about the concept that our deeds are being judged by a mighty entity which we call G-D. What could we have possibly done to face severe consequences such as, G-d forbid, disease, poverty, or other adversities? In fact, what does all this mean to us, living in a modern, more sophisticated world? At the first glance, the mysterious Book of Life along with the an old fashioned scales to weigh our personal Good vs. Bad deeds, is not an effective way to “sell” us on the important concept of a yearly personal audit of ourselves. Where is the Almighty, anyway? None of NASA’s deep space probes has ever encountered large heavenly books, scales or angels. For many of us these questions create a modern day dilemma. Other then the importance of merely keeping the Jewish tradition as it has been celebrated for millennia, how can we make all this resonate within us? How can we understand the High Holy Days in a way that is meaningful to us? To “buy into” the traditions of the High Holy Days, one has to accept its concept and symbolism. If we remove the physical dimension from the heavenly scale, the Book of Life and the accuser angel, their modern relevance becomes clear. It is about us, you and I, here on Earth. It is about the way we live our lives and the principals that guide all of us, whether we are believers or not. The scales are about having a very clear understanding of what is right and what is wrong in our life and having a commitment to base our life on this understanding. Grab the scales from its heavenly hideout and place it upon your heart. Then use it to weigh your deeds regularly. Evaluating oneself and having the courage and determination to correct that which needs to be corrected is a wonderful way to deal with difficult and challenging issues and keep our life on track. Pull the Book of Life from its heavenly hideout and place it inside of you. 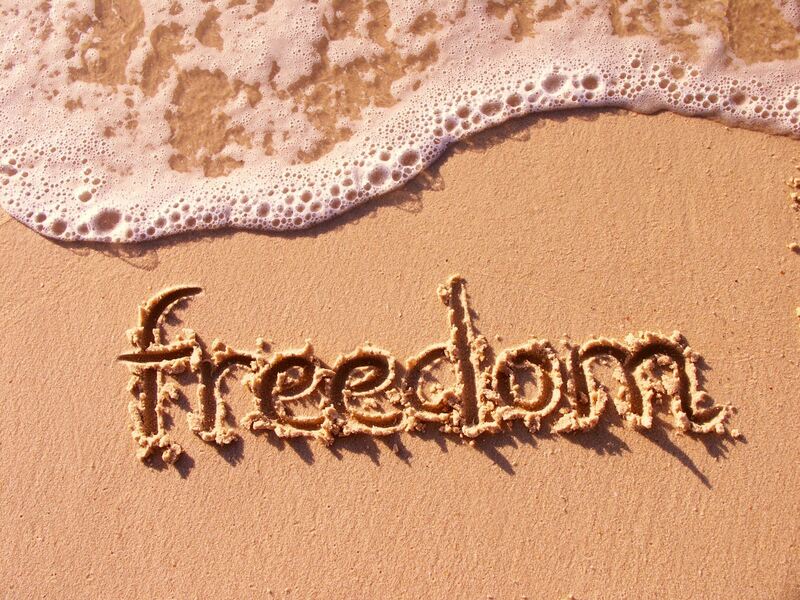 Since our life is guided by free will, it is you who writes your destiny in it. Jewish tradition subscribes to the idea that life without compassion and acts of kindness is like a book with empty pages. So in order to rejuvenate and energize our days, and make them meaningful, our deeds should benefit us by benefiting others. Be for you, Be for others. And why our prescribed prayers in the prayer book that constantly petition for forgiveness? Why are we confessing so many “sins”? It is about exercising our inner strength to recognizing our own fallibility as humans. Judaism ask us to have the courage to pry into ourselves and dig out that which is wrong with us, set it free and start anew. Not an easy task - just ask any psychologist. We recognize that we are not perfect. As we go through life we err by wrong thoughts and wrong deeds. As we all know, the first step to recover from a bad situation or a bad habit is identifying and recognizing the problem. The High Holy Days, therefore, are a celebration of the human spirit, a time when we honor our ability to probe deep into ourselves with courage and humility to expose and correct our wrongdoings. May we all be inscribed in the Book of Life for a good year! There are several organizations that arrange for Bar or Bat Mitzvah “twinning” with a Holocaust child. This family chose “Remember Us” I always love how they try to match the name of the child with the Bar/Bat Mitzvah child’s English or Hebrew name. In this case Abigail’s middle name is Eliza as is her Hebrew middle name. She received the name Liza Akerman to remember. Abigail and her mother researched to find out as much as they could about Liza. They learned she was born in Kishinev in 1931 and died in Belgorod-Dnestrovky 12 years later. There isn’t any mention of her mother but Liza, her father Dudl, grandmother and two sisters were in concentration camps during the war. All perished. I wondered after the service what it was that made Liza’s memory become so alive for all of us. Was it her name on the chair? 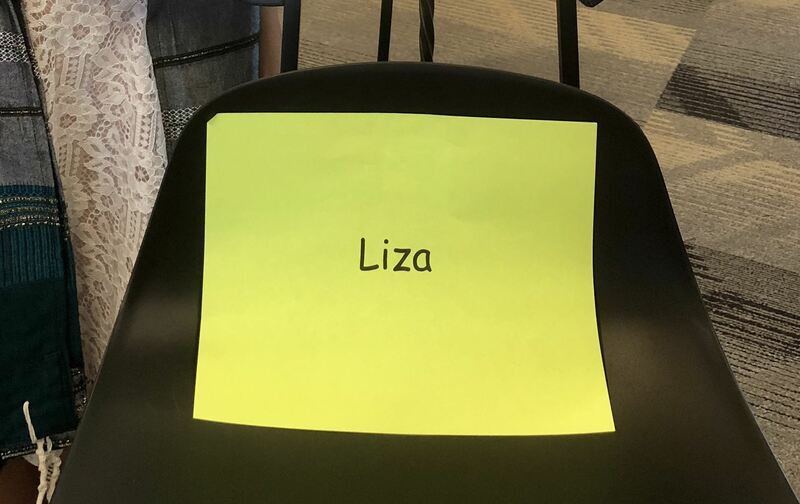 Abigail insisted that there would be a chair of honor, that Liza would stay beside her during the service, that Liza was included in the pictures beforehand. When Abigail spoke about Liza during the service there was such a Sacred Presence that came into the room! It was a Presence of such Love, of such adoration! It touched something so deeply within all of us! As I looked around I saw the tears streaming down faces. Was it the soul of Liza saying thank you? There was just something so profound that happened during that service. Later I understood so deeply within that the Presence in the room had come to bring healing for the wounds, the scars, the memories that we carry of the Holocaust. May this healing continue as we remember all children in our collective history who were prevented from coming of age, as we remember all children of today’s world who are being prevented from coming of age. This Presence of Love brought such hope! I know that there will come a time when there will no longer be new names to put on future chairs.